The new science fiction suspense series will have readers on the edge of their seats this December. 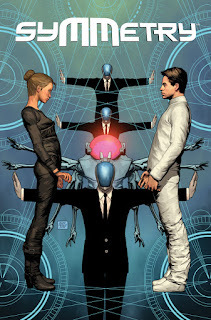 Writer Matt Hawkins (THINK TANK, TALES OF HONOR) teams up with artist Raffaele Ienco for an all-new science fiction, suspense series called SYMMETRY—set to launch from Image Comics/Top Cow Productions this December. SYMMETRY #1 will hit comic book stores on Wednesday, December 9th.